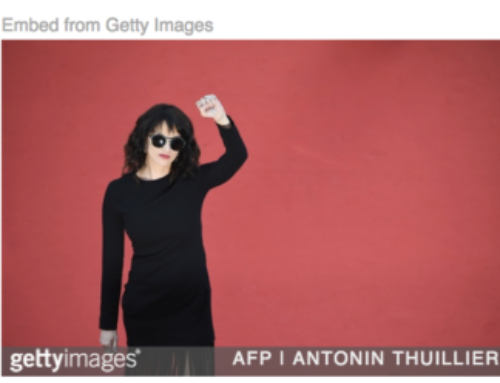 All politically-related posts on this blog seem to generate controversy. Please note that I attempt to be as impartial as possible and focus on the astrology of the situation, although at times my own personal bias may bleed through. Megyn Kelly is no stranger to controversy, but where controversy served her well during her thirteen years at Fox News, it has not been as well received during her tenure at NBC’s morning show “Megyn Kelly Today.” Her recent comments about white children dressing in blackface for Halloween resulted in NBC’s pulling the plug on her show. 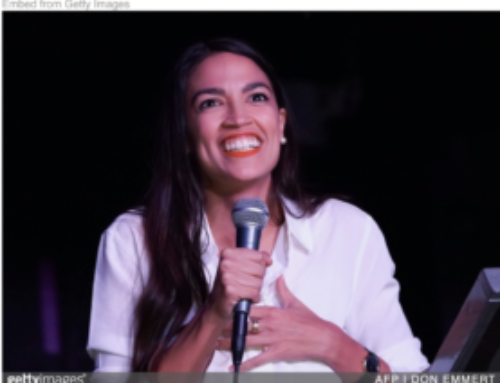 These comments follow a long pattern of what has been described as “racial insensitivity” and should have been no surprise to the NBC execs who put her on the air. Ms. Kelly’s particular combination of blonde beauty and biting intelligence is the very thing which catapulted her to fame on Fox News whose audience is primarily white and older, but was less appealing to NBC’s morning viewers who are accustomed to a different kind of content, and the younger audience left the show in even higher numbers. It will not surprise astrology buffs to know that Megyn Kelly (born November 18, 1970 time unknown) was born with the Sun in the sign of Scorpio. Scorpio a powerful sign which is known for its penchant for passion and intensity, and driven by an urge towards transformation and the embrace of the dark side of human experience as part of the process of personal evolution. Scorpio people are often intense and amoral, living in an embrace of their own personal Truth that will not necessarily be the same as the truths espoused by those around them. We have no birth time for Ms. Kelly which would provide the calculation for the Ascendant or rising sign, the sign which describes the personal of an individual and the way they move through the world. The Ascendant is often expressed quite differently than the Sun sign. I have seen people with the Sun in Scorpio and a happy sign like Sagittarius rising, and you would never know of their inner flame until you really came to know them well. 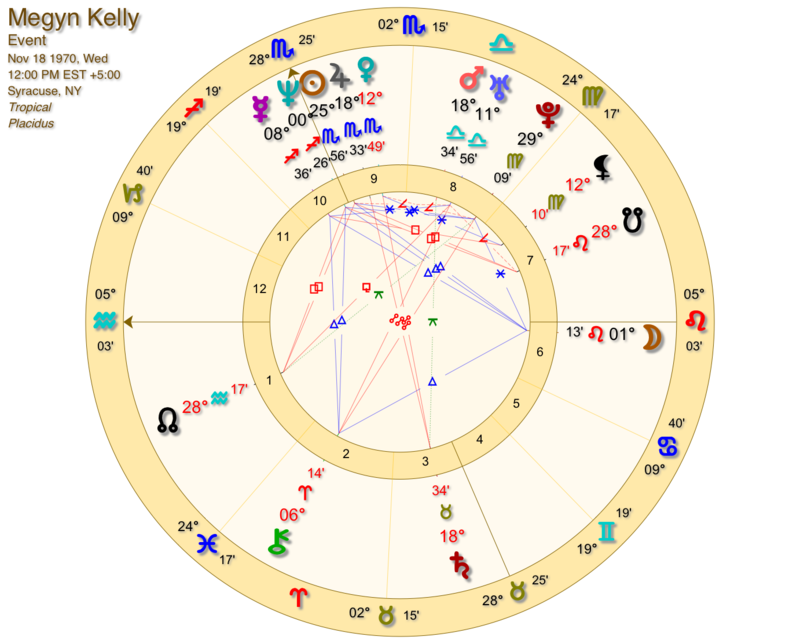 In the case of Ms. Kelly, however, that Scorpio power and intensity is not well hidden and that is enhanced by the fact that her Sun aligns with Jupiter, the planet of expansion and good fortune. Sun/Jupiter people are often quite successful as Jupiter bestows a level of confidence and an ability to achieve one’s goals, especially in the sign of Scorpio which can be driven by an urge for influence and respect. The planet Saturn follows Jupiter in the solar system, and where Jupiter expands and inspires confidence, Saturn inspires self-doubt and a need to work hard. In Ms. Kelly’s chart, Saturn is opposite both Jupiter and her Sun, with the dual effect of creating both insecurity about her abilities combined with an intense need to achieve success. This is a dynamic that can lead to a crippling fear of failure, but the Scorpionic persistence can help to overcome that tendency. 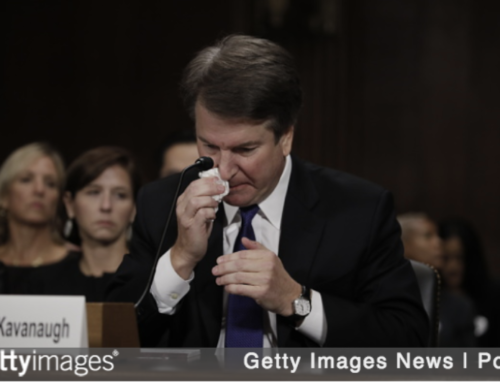 Jupiter is associated with the legal profession and journalism, so its conjunction to Ms. Kelly’s Sun is emblematic of both of her careers, and she is well known for her perfectionism in her work life. Venus in the chart, denoting relationship style, is also in Scorpio, so all of her interactions with other humans, both romantic and platonic, will be marked by that Scorpionic depth and intensity. And Pluto, the modern planet that rules Scorpio and inspires personal transformation, is opposite Chiron, planet of wounding and healing – this suggests some deep emotional wounds that continue to drive her towards healing and resolution. Because we don’t know the time of birth, we can’t be certain exactly where her Moon is. If she was born prior to 8:30 am, her Moon would be in the sensitive sign of Cancer in which case she would be extremely touchy and ill equipped for the brutal spotlight of television news. I believe it’s more likely that her Moon is in Leo which is driven towards the spotlight. A Leo Moon, which seeks joy and self-expression, is not all that happy in a chart with such a heavy preponderance of Scorpio. 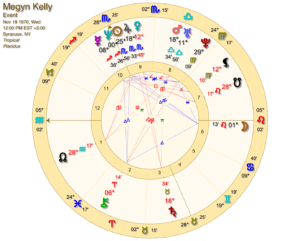 An interesting thing about Ms. Kelly’s chart is that Mars, the planet of drive, desire and anger, is in the placating sign of Libra. This is a placement that does not anger easily, and is driven towards harmony in relationships and in one’s own personal life. It is likely this people pleasing Mars which has enabled her to climb the ladder of fame without creating too many enemies despite the Scorpionic lust for power that lives elsewhere in her chart. Mars conjoins Uranus, the planet of rebellion, depicting the willingness to be controversial that Ms. Kelly has often exhibited in her career. Ms. Kelly has been having a “Jupiter Return” cycle this year – the time when Jupiter, planet of expansion, returns to its place in the natal chart. Because Jupiter conjoins her natal Sun, that Jupiter return affects not only natal Jupiter but the Sun as well. Jupiter is associated with good fortune and good luck, but it also tends to inspire us to want more out of our lives. There can be some arrogance and complacency with Jupiter that can result in a “liberation” from something in our lives which we may feel is holding us back. 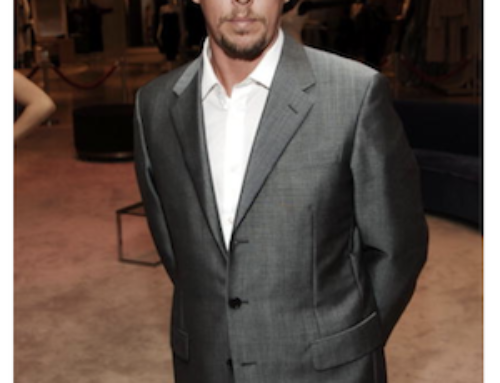 As I write this Ms. Kelly is negotiating her exit from NBC news. With Jupiter at the helm, I suspect that this will be a positive event in her life which will open more doors than it closes.